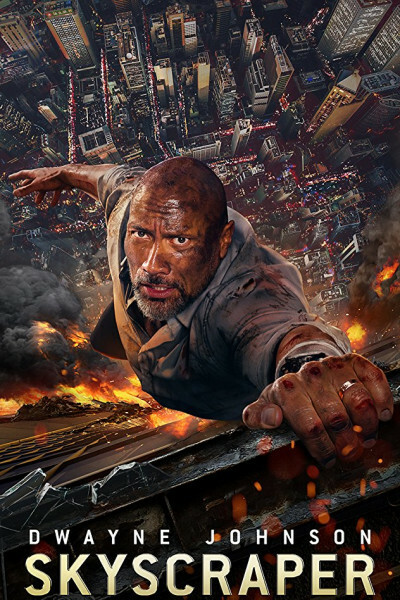 San Andreas, Jumanji, Baywatch, Fast & Furious, Moana, The Scorpion King...I think it's clear by now that while Dwayne "The Rock" Johnson is unlikely to win too many thespian awards, he makes one heckuva good/fun movie, and often for families. I sense that he really loves kids, and this love shines through again and again, outing after outing. Skyscraper is no exception to these perceptions, though I would say it's a little less captivating than recent submissions. It's not boring, per se, but it's rather staid and more predictable than usual, and in this case is such an overt Die Hard meets Enter the Dragon send-up that it's hard not to groan (just a little). That being said, I did Shazam two really great credits songs: Walls by Jamie N Commons, and Break in the Clouds by Frightened Rabbit. They are right up my alley. So, all in all, my trusty metal detector finds a nickel and one vintage bottle cap. Not a bad day at the beach. p.s. Including voice roles, Johnson now has 116 TV and cinematic credits to his name, plus 31 production credits. Nothing to scoff at, lest you want him to break your arm.